My children do very well out of Christmas and get plenty of toys, not just from Santa, but from friends and family as well. 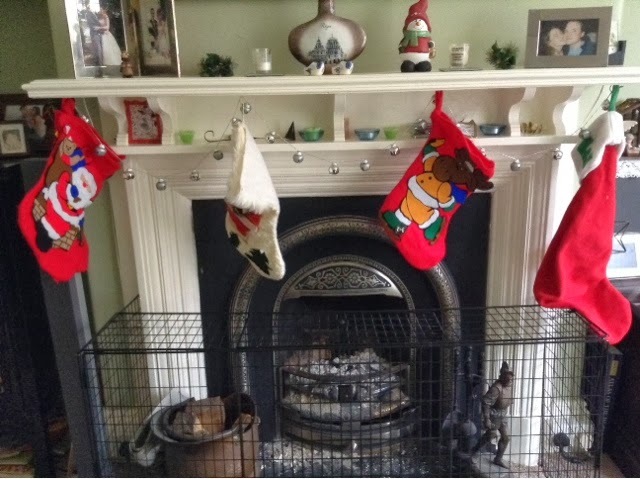 So, I try and steer clear of buying too many toys for their stockings as well. Partly, because it can get expensive. I laugh in the face of adverts for stocking filler toys that cost £15 or less - I aim to spend £15 on the entire contents of the stocking, not just one measly toy! And partly because they get enough small trinkets in the party bags they bring back from all their friends' birthdays. Instead, I like to think of Christmas stockings as the perfect way of 'stocking' up on essentials as well as showing that the big man in red has a sense of humour. 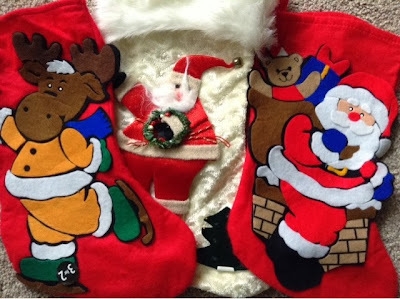 So, here are my top 25 ideas for kids' stockings - some that might actually be useful and some that are traditional or just for fun. 1. Satsuma / tangerine / clementine - after all, it's just not Christmas without one in the toe of the stocking and at least you might get some vitamin c in them after all the junk they get too. 14. Book - bought from the local charity shop. I picked up three books for just £2.40. 15. CD or DVD - also bought from local charity shop. What do you put in your children's Christmas stockings? I'm definitely with the practical stuff: craft bits and bobs, an orange, one pack of choc buttons/stars/coins, water bottle with name on, hair brush, clips, selotape, socks, lego figure, DVD (something they've been hankering after for months), book, paints, puzzle book, colouring pencils, seeds etc. etc.